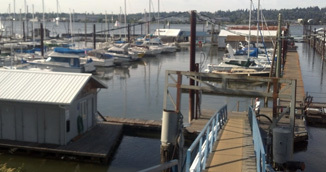 McCuddy's Marine Drive Moorage is located at the intersection of 33rd and NE Marine Drive, and is conveniently situated between 1-205 and 1-5 with easy access off 33rd Avenue, and only 20 minutes from downtown Portland. 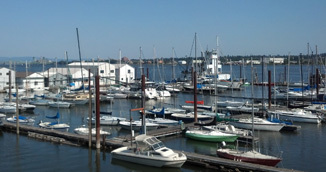 This special location has immediate access to the Columbia River and is home to the Portland Cal 20 & Ranger 20 Fleets and two Outrigger Clubs. 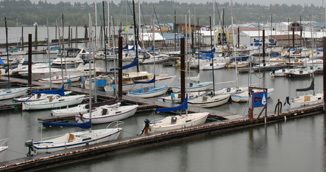 The moorage features 120 open, double slips, ranging from 15 to 75 feet, 30 covered, single slips 25 to 45 feet, and 50 boathouse slips. All slips have 30 amp electric service and city water.